Ephedra viridis, the close relative of Ephedra sinica (Ma Huang) grows naturally in many parts of the U.S. With the recent ridiculous restrictions on Ephedra sinica by the FDA in another terrible attempt at competition control for the well-connected pharmaceutical companies, the demand for Mormon Tea has greatly increased. 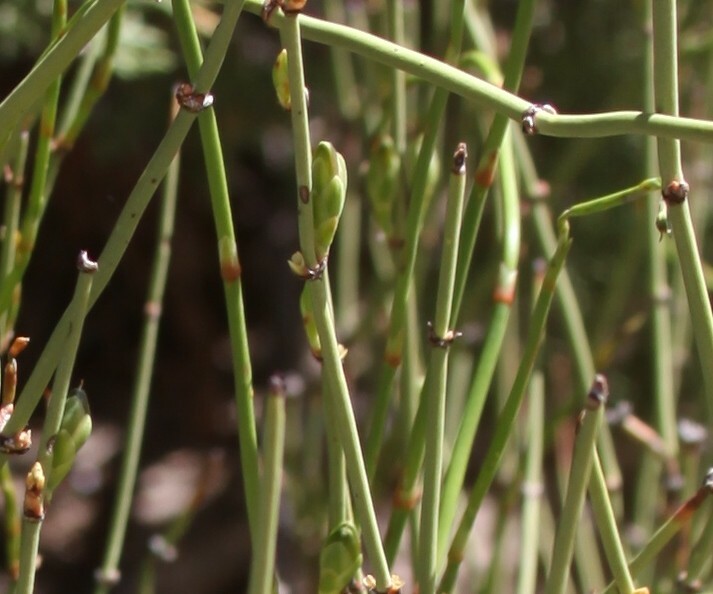 Ephedra viridis gets it’s common name, Mormon Tea, due to it’s popularity with Mormons who use it as an energy drink in place of caffeine, which they can’t drink according to their religion. We offer whole Mormon Tea foliage, which looks like thin sticks with “joints” every half-inch to inch.